For Susanna Yoo, tax law isn’t just what’s written in the Internal Revenue Code or the implementing regulations. Tax law can also be dynamic in its application and interpretation. “The same black and white words in the tax law may apply differently, depending on the facts and circumstance of the particular situation or case,” Yoo explains. Yoo, vice president of tax at Allegiant Travel Company, first became interested in tax issues as a student in John Zimmerman’s federal taxation class at the University of Nevada, Las Vegas. 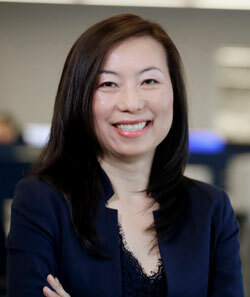 “There were tax consequences in the most obscure stories Professor Zimmerman shared with the class, and I just had so much fun thinking through the tax considerations,” Yoo notes. What, according to Yoo, are the best parts of working for Allegiant? It’s the “flight benefits,” she says (no doubt smiling). “Realistically, working for folks who trust and support you to do the right thing. You learn about tone at the top at school, but when you actually interact with a management team who wants to do the right thing, it is really encouraging and motivating,” she says. So, how can TEI be even more relevant to emerging tax professionals? According to Yoo, for an emerging tax professional new to TEI, the level of expertise and experience represented by its members can be very intimidating. “A mentoring program or other programs that would facilitate the engagement of the more senior professionals with emerging tax professionals would go a long way to foster and develop the next generation,” she asserts. When not immersed with tax issues, Yoo enjoys going to musicals and operas. Some of her recent favorites include Hamilton, Something Rotten!, and Madama Butterfly.